Location: Changzhi City stands in the southeast of Shanxi Province, neighboring Hebei and Henan provinces in the east. Jincheng City and Jinzhong City are respectively linked with Changzhi in its south and north ends. History: Primitive agriculture in this area began extremely long ago. Its old name Shangdang was given during the Warring States Period (476BC-221BC). The name of Chanzhi was gained in the Ming Dynasty (1368-1644) symbolizing long-term peace and stability. 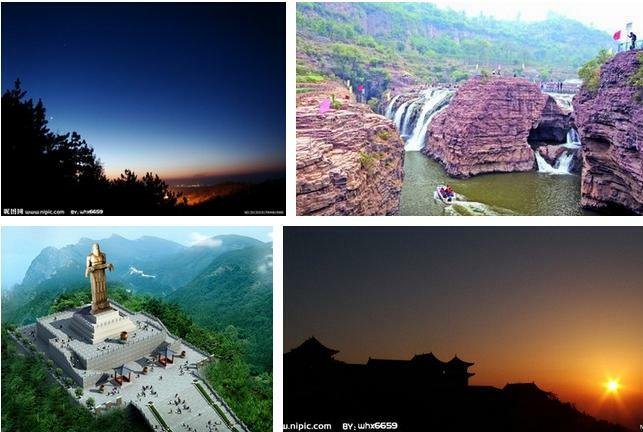 Physical Features: Duo to the Taihang Mountains in the east and the Taiyue Mountains in the west, the terrain of the city slopes downward from the eastern and northern parts to the western and southern. The central area is comparatively flatter scattered with several basins. Climatic Features: Changzhi is situated in the interior of China belonging to warm temperate zone. Hence it has a typical continental monsoon climate. Temperature difference is distinct in four seasons. Winter is dry and summer has more rainfall. Annual Average temperature maintains between 5C (41F) and 11C (52F).